QR codes are almost stuck with every product these days. They are considered ideal for product tracking, item identification, time tracking, document management and general marketing due to several reasons such as fast readability and greater storage capacity than standard UPC bar codes. They are better than hyperlinks and one-dimensional bar codes in the manner that their decoding process contains error-correction, due to which up to 30 percent of errors can be tolerated in case of damage or wear. Also, it saves you from the hassle of typing those long URLs, wherein you are shown a 403 error message even if you misplace a hyphen. Since practically every smartphone with a camera may act as a QR code scanner, they provide an efficient medium for user-oriented services. These codes, erstwhile used for product tagging in automobile industries, are now even used by governments to connect visitors to dedicated websites explaining the history of the artefact the QR code is placed along. QR codes can even be customized according to user’s interests due to error-correction, making them visually appealing. Now that even the smallest business websites use QR codes, you might be wondering whether we can create one for ourselves. After all, you could do a lot with it- place it in coupons, brochures, pamphlets, project documents and even your T-shirts and accessories containing the URL to your business website or your personal one. There are several methods to place your customized QR code in an MS Word document. The quickest would be creating it online, copying the generated one and pasting it into your document. The sites which let you create a custom QR code offer data-types such as website URL, YouTube video, Facebook, Twitter, Instagram and much more, containing pre-embedded information related to these sites. The above method has its limitations, however. QR codes are available in 40 different sizes, having various storage capacities, while these sites produce QR codes of standard dimensions. Stretching or shrinking the static image thus downloaded shall degrade its quality and may not get interpreted by mobile phones. It is preferred if the QR code is an object rather than a picture, thus retaining the information at all sizes. Moreover, the QR codes generated from such sources might contain the developer’s watermark which shall spoil the appeal of the square code and make you look unprofessional. 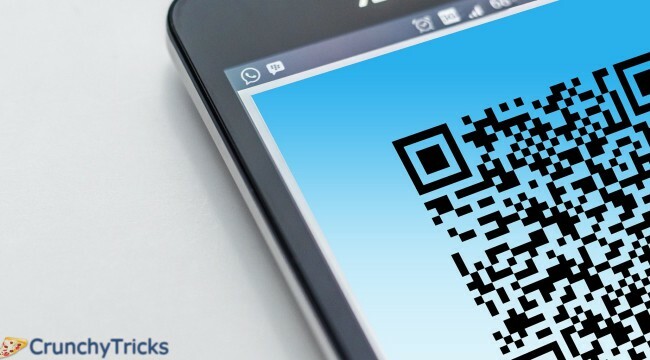 While this idea is perfect for enthusiasts who just want to have fun, professionals must need indigenous and size-specific QR codes and should, therefore, possess the working algorithm for creating unlimited QR codes on their desktop. For this, they need to download the QR code generator add-ins, that would automatically place appropriate buttons in their word processor add-in panel. Go to a website that renders the add-in, get redirected to their download page and download the .zip file for QR code bar code add-in. Unzip it, and before you run the setup file, make sure all Word documents are closed. Run the installation file and then open a new Word Document. A pop-up window should appear, with the title “Microsoft Office Customization Installer“. Click install. After all the above steps, some new buttons will appear in the “Add-ins” tab at the top of the word processor interface. Now, let’s make a new QR code in Word. Click “Create Barcode” or “Insert Barcode” button. Select “QRCODE” in “Barcode Type”/”SYMBOLOGY” drop-down menu under “Barcode Settings“. Input valid data in the text box. Make sure your cursor lies on the part of the document where you wish the QR code to appear. Listed below are some site which provides these add-ins. The site provides two separate add-ins for Word and Excel; each sold separately for $99, but you can download their free trial version. The add-in allows you to go back and modify the properties of the bar code if desired. Users have a choice as to enable specific options for GS1 compatibility and determine the error-correction level, version and data mode according to the requirements. Moreover, the quiet zones of QR codes are added automatically by this add-in. StrokeScribe enables the user to call the ActiveX control based or font-based plug-in from within the VBA Module, which must be imported through functions written into the document beforehand, to generate QR codes on the fly. In this way, an object QR code is formed, which can adjust to the paper size and font changes better and can be modified just by double-clicking upon the code. They offer a free edition for a single user, while commercial versions are available ranging from a five-user license costing $50 to a site-wide license for $110. Not only in Word documents, but you may also even add QR codes in serial letters, Excel spreadsheets, Access reports, Info-path and many other Microsoft Office applications.